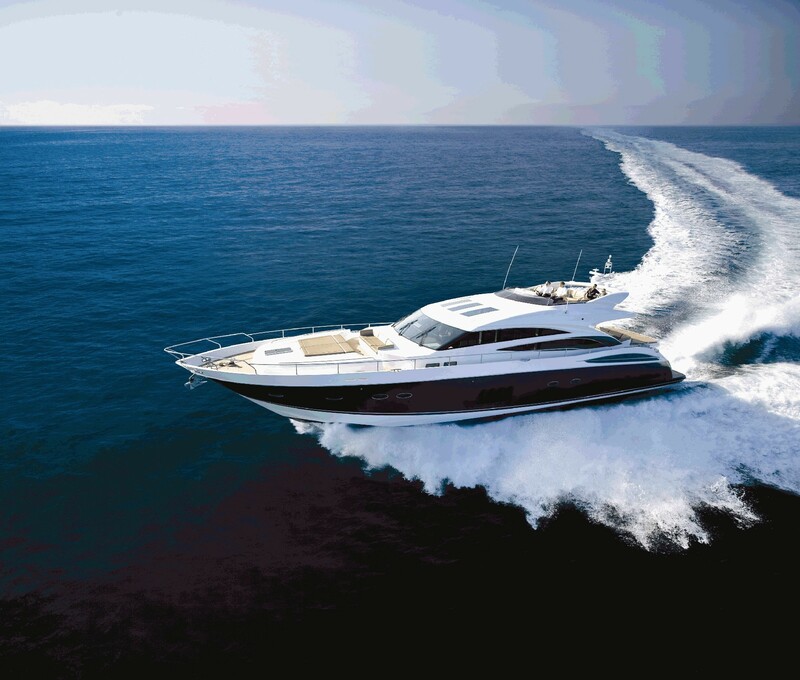 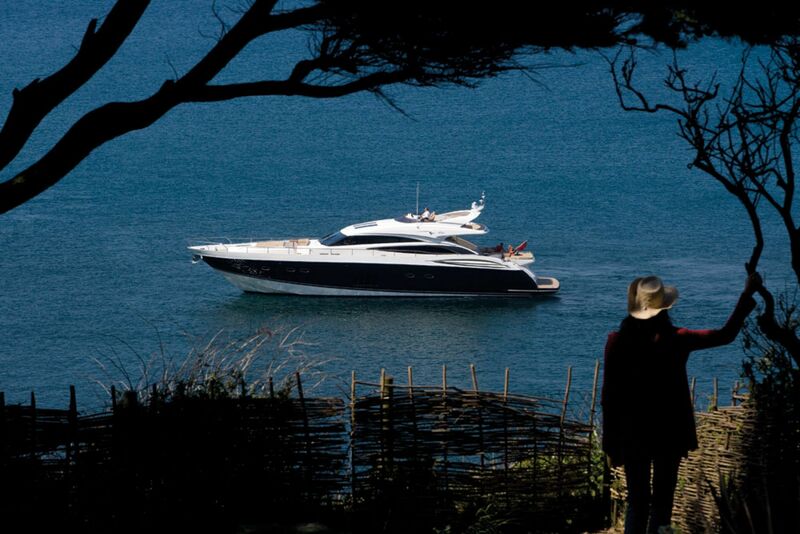 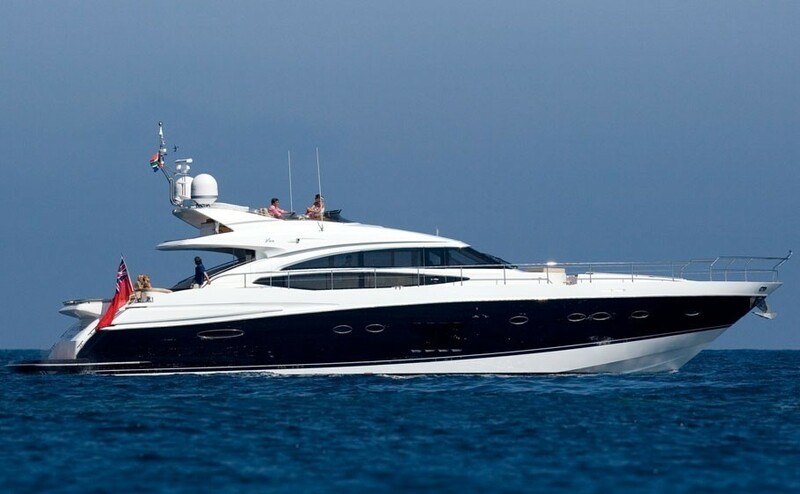 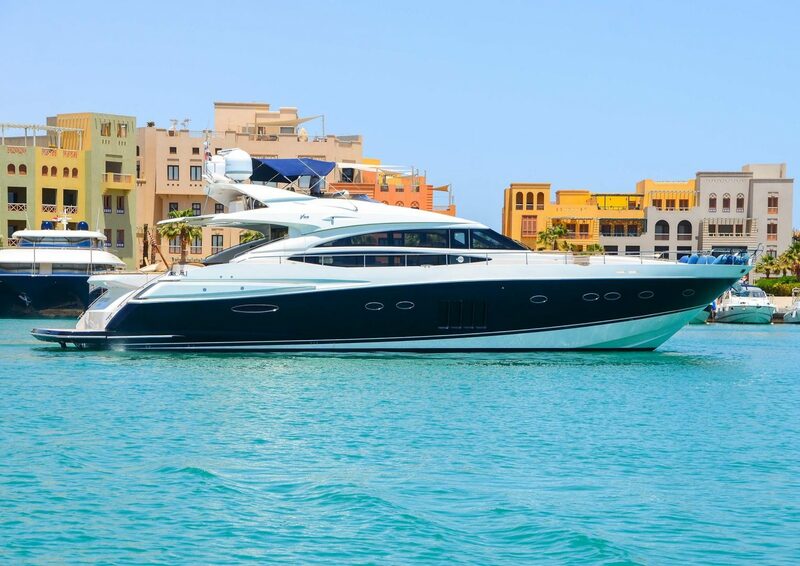 The 2008 Princess V85 luxury motor yacht and she is available for yacht charters in the Western Mediterranean. 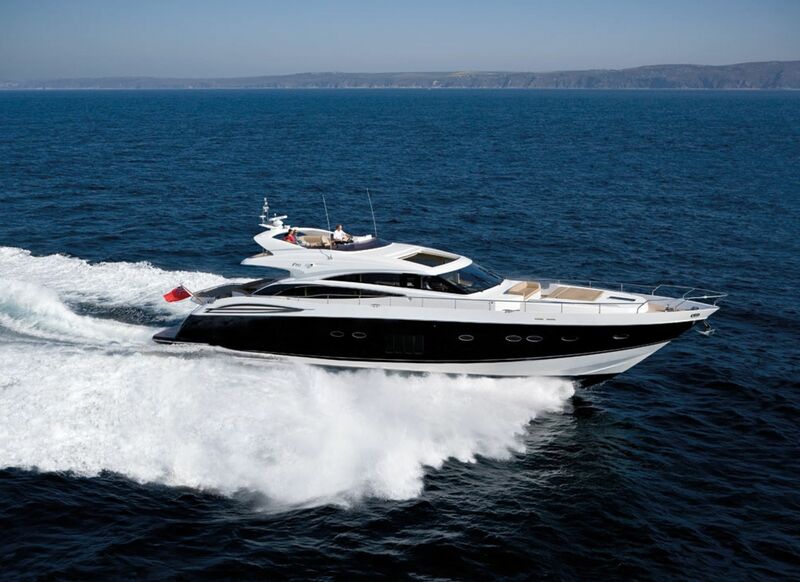 Princess ‘V Class’ sports yachts are renowned for high performance and the V85 PRINCESS is no exception. 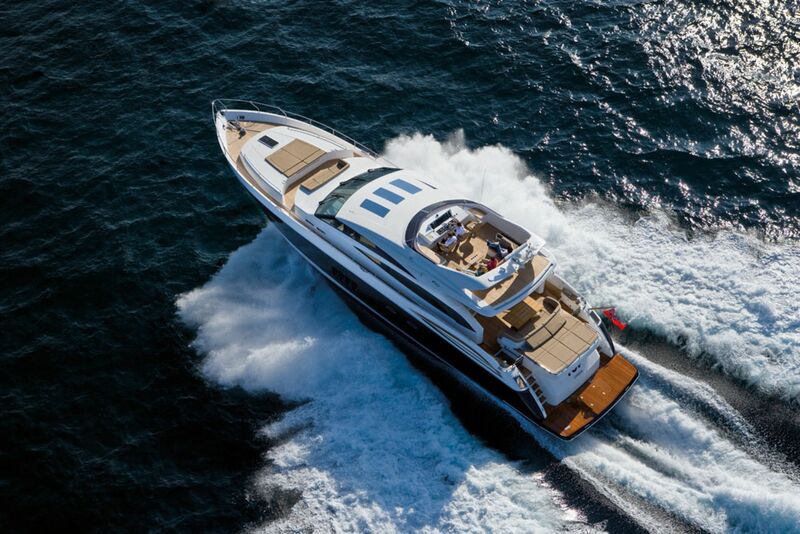 With her deep V hull she reaches speeds approaching 35 knots. 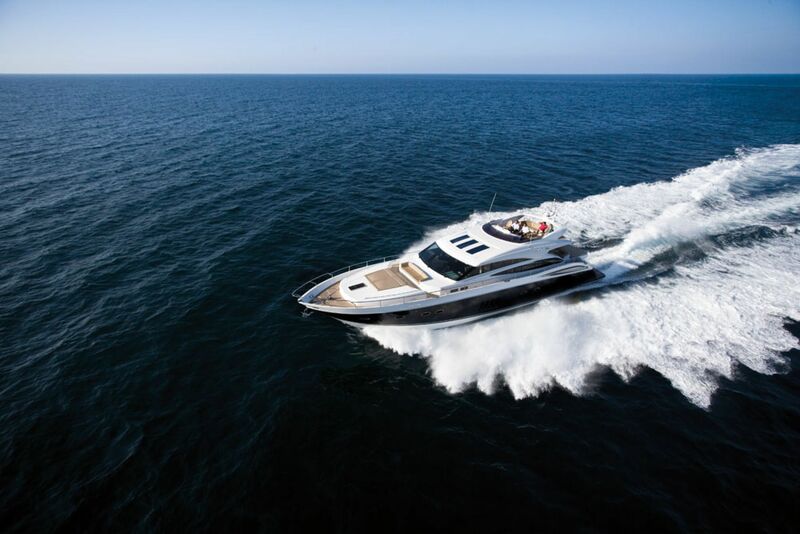 A new concept in a dynamic design the Princess V85's stunning good looks disguise a very practical and spacious interior layout, as well as a number of new design features. 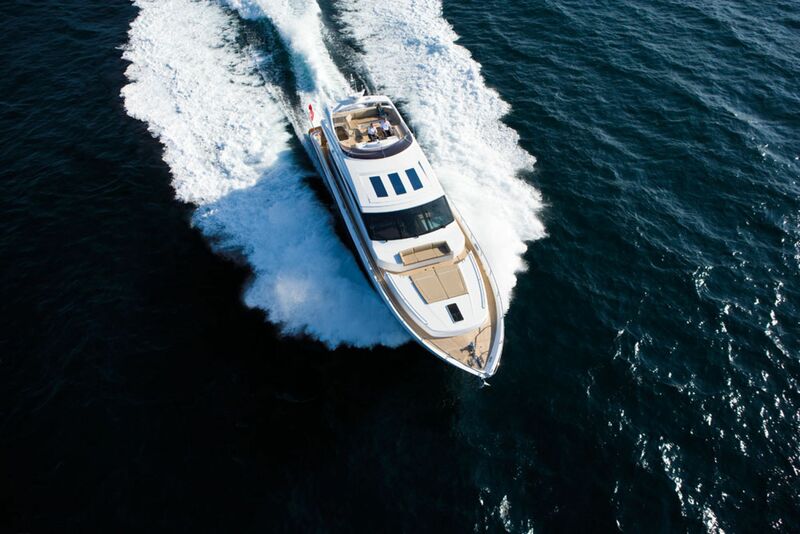 Perhaps slightly unusually for a sports yacht, the Princess V85 incorporates a flying bridge with full repeat controls and a large seating area with refrigerated cool box. 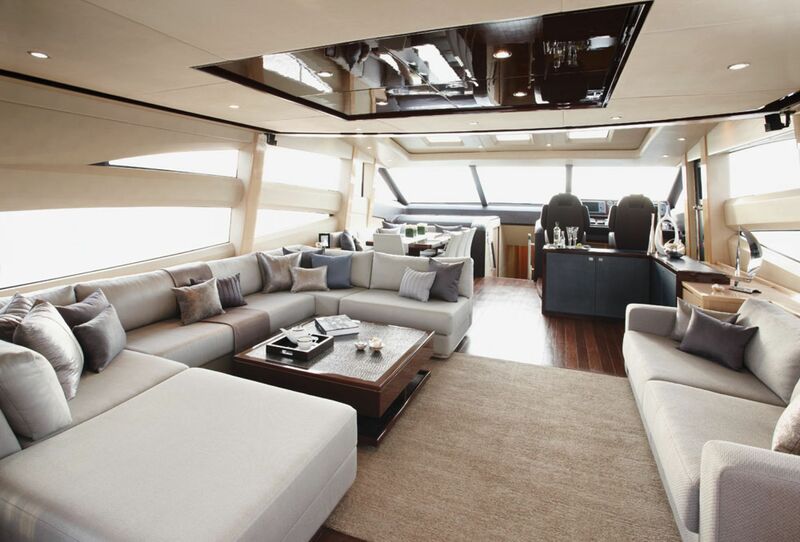 Her spacious cockpit features a seating/dining area for eight and as well as a bar area. 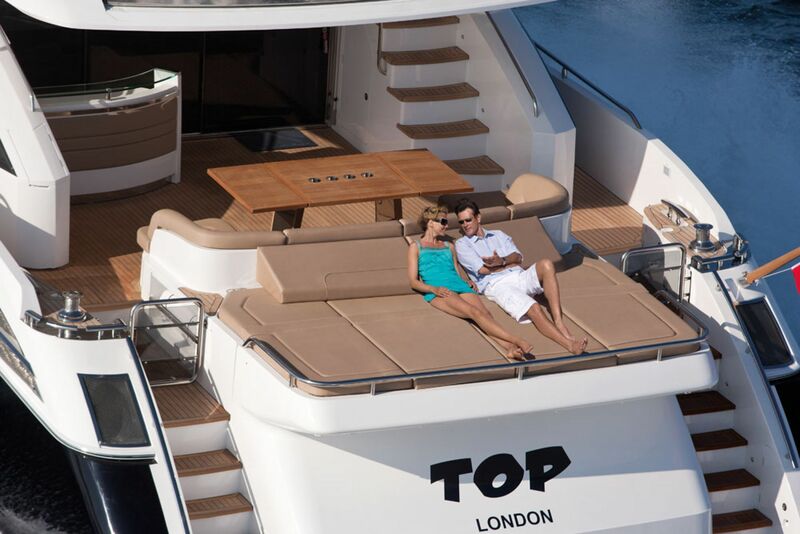 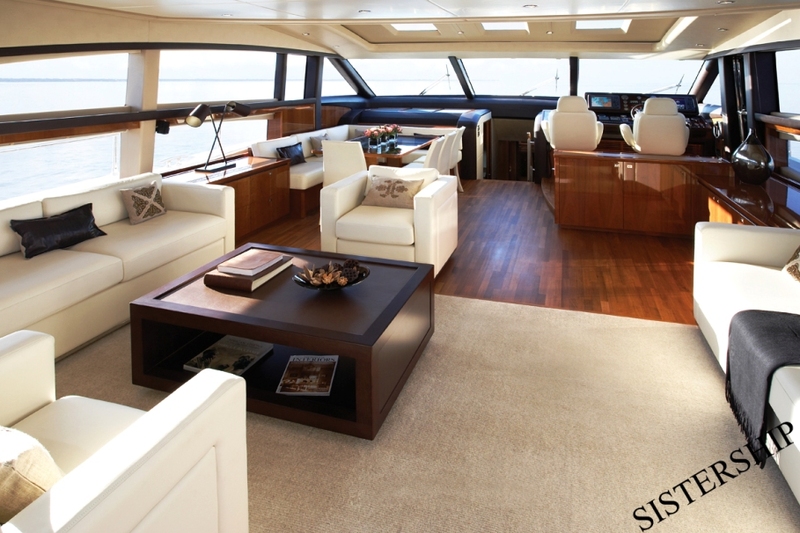 The luxury motor yacht’s forward area of the large saloon incorporates a sliding roof which opens over the control position and the dining area. 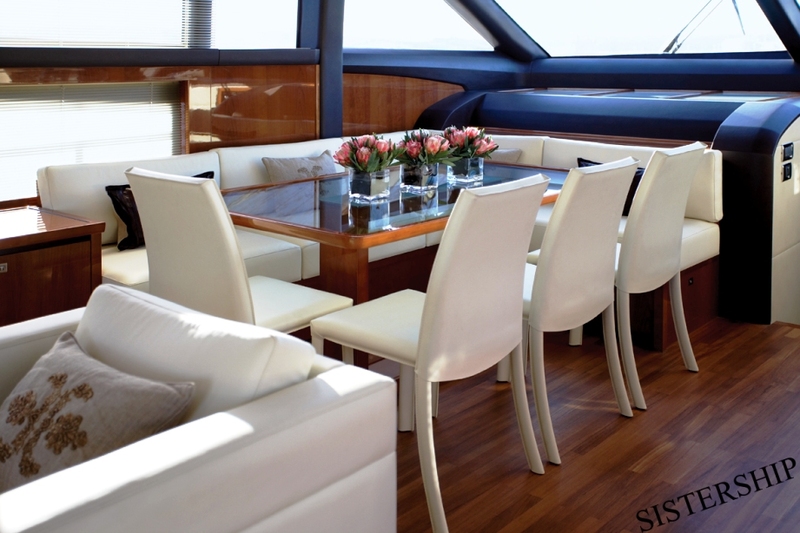 Also, a sliding door to starboard gives access to the side deck. 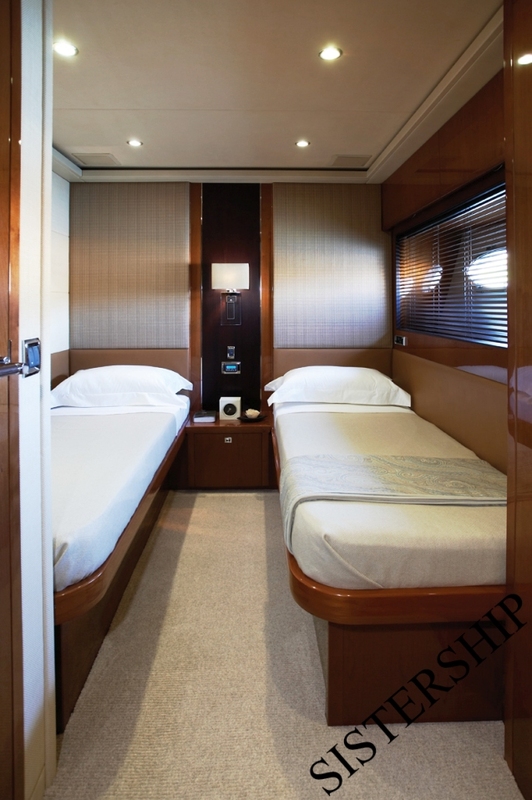 The yacht’s accommodation provides comfortable and luxurious accommodation for eight. 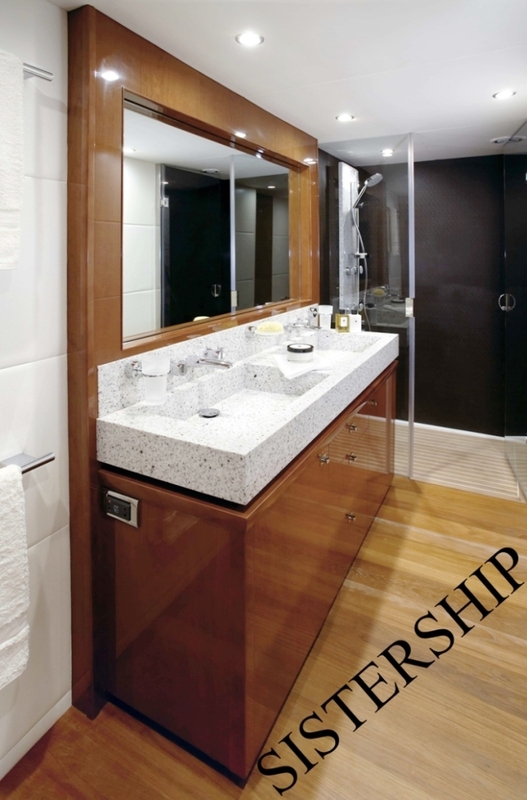 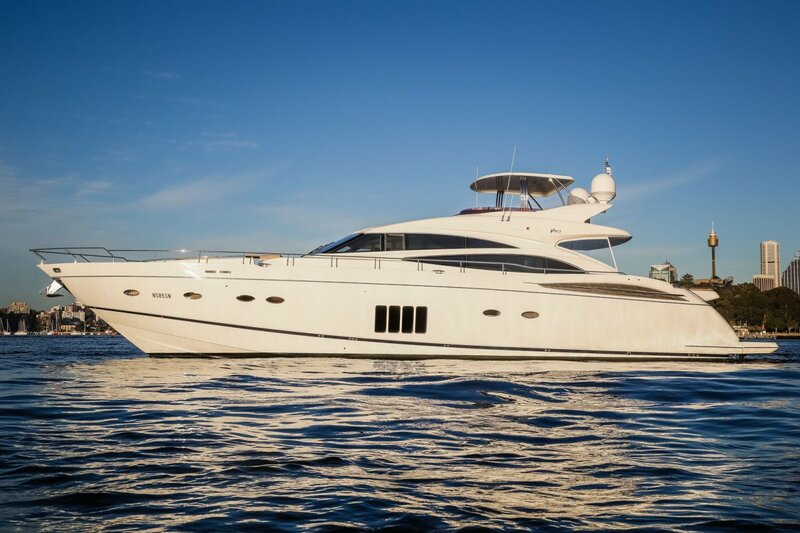 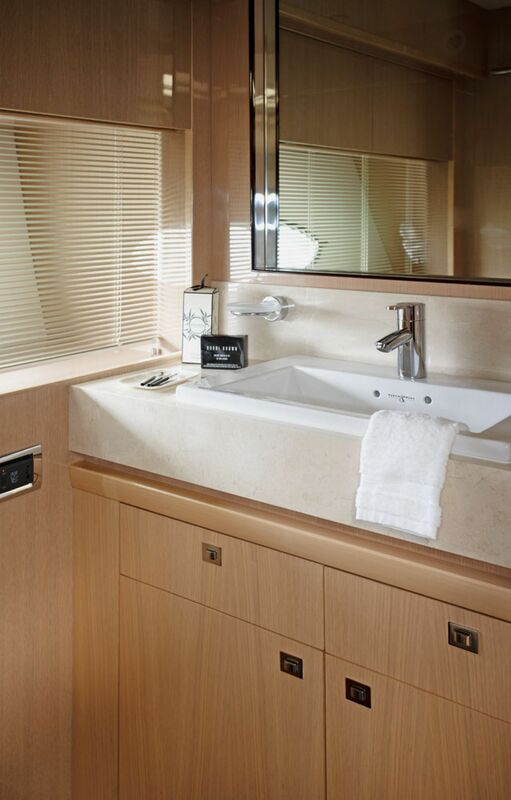 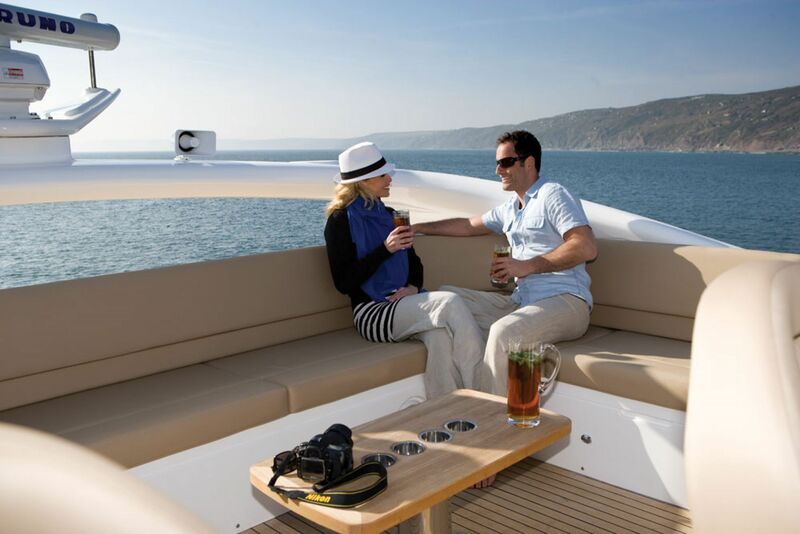 She offers a full beam owner's cabin and three additional guest cabins, all with ensuite. 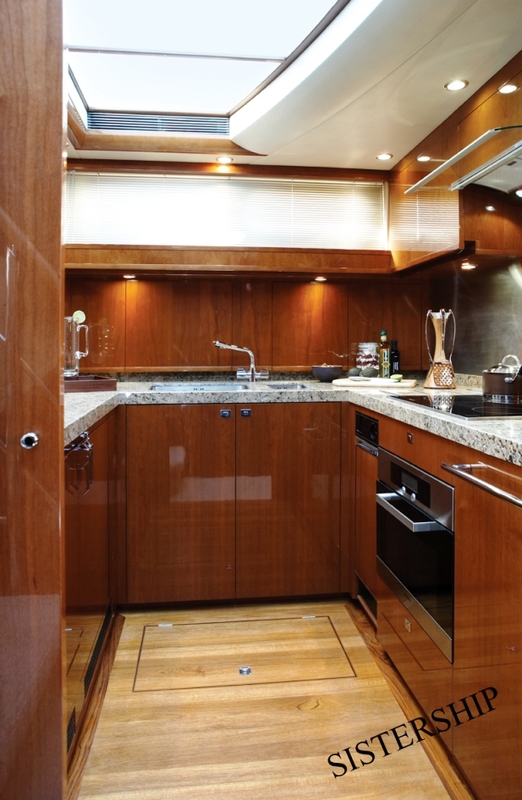 PRINCESS V85 also features a large galley which has the option of being fully enclosed or open plan. 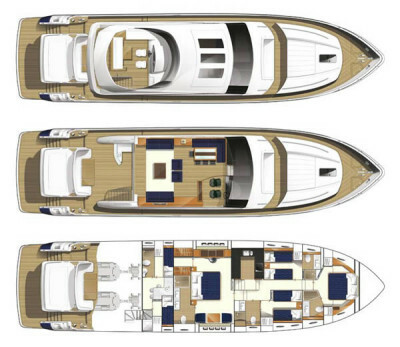 The Princess 85 is a sports yacht, which combines practical, spacious accommodation and thrilling performance. 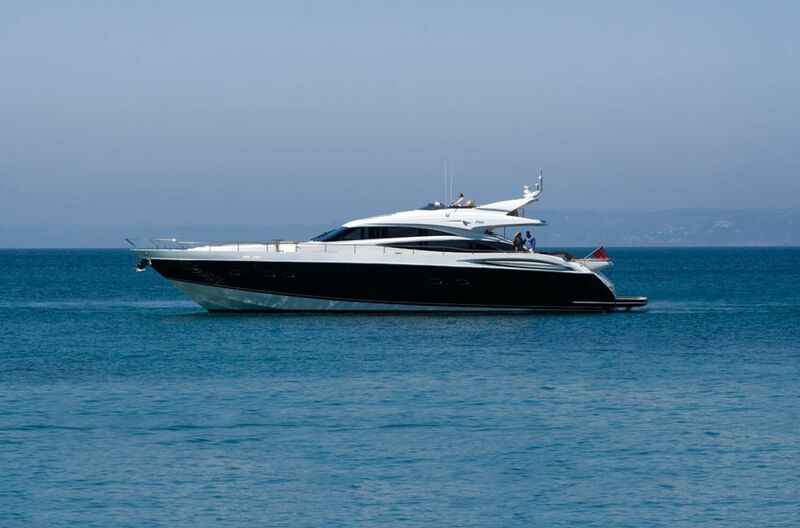 This Princess also has with a high degree of seaworthiness, ease of handling and control and a genuine long-range cruising capability - all coming with timeless and elegant lines and breathtaking good looks. 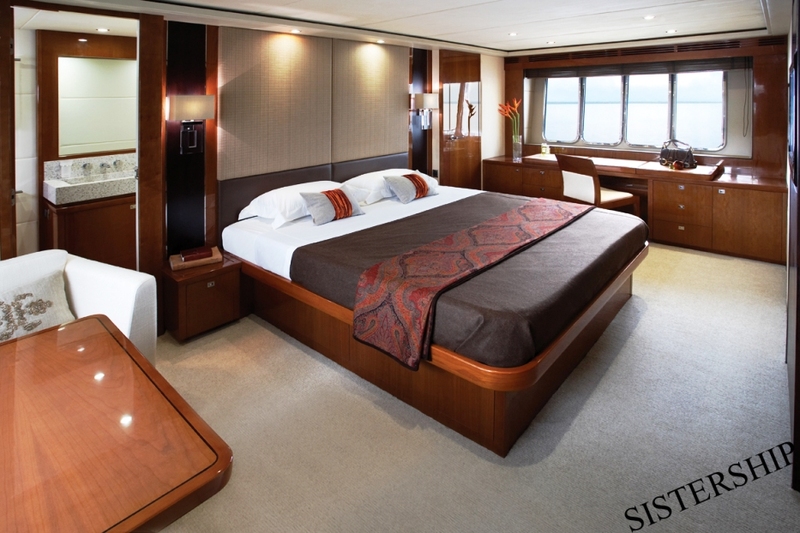 Accommodation for up to 8 yacht charter guests in 2 Double, 2 Twin cabins. 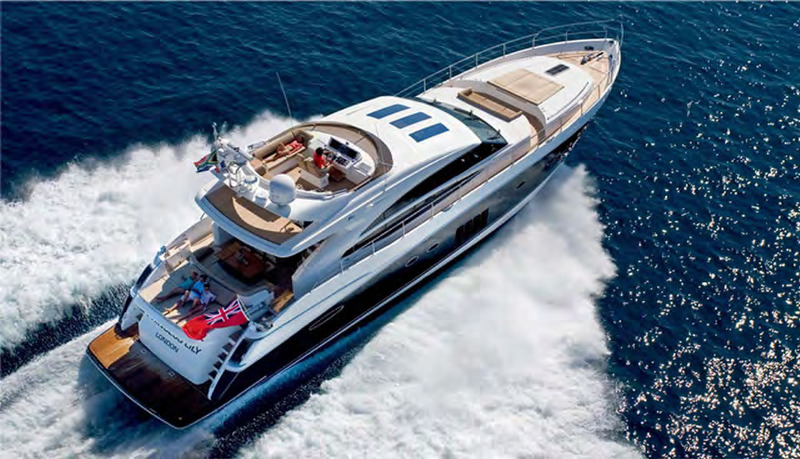 Contact us for full details. 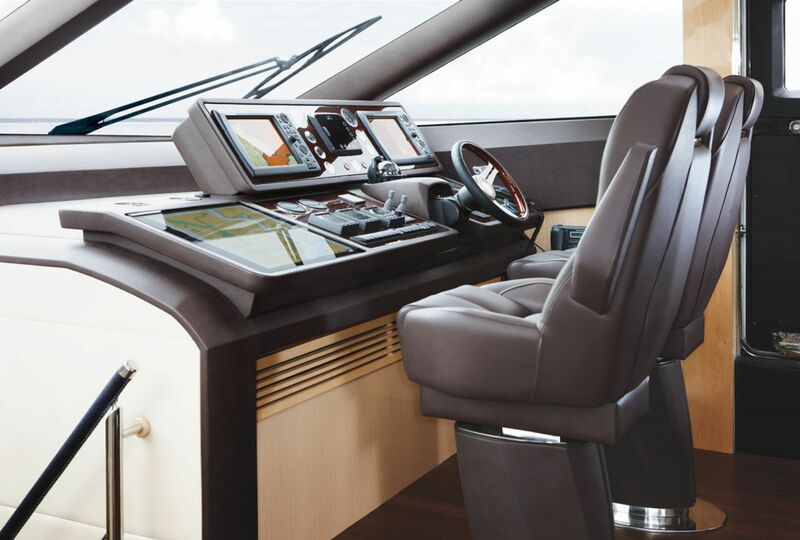 RIB tender. 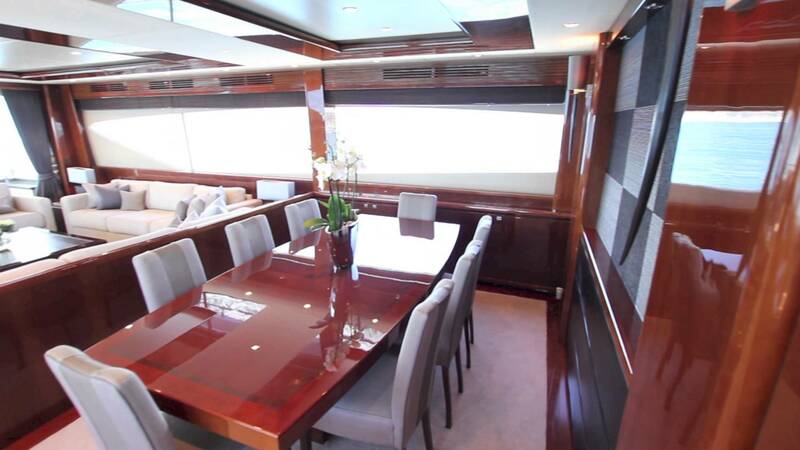 Audio Visual Equipment and Deck Facilities Plasma TV in salon /CD /DVD /Surround sound system in salon LCD TV in staterooms.